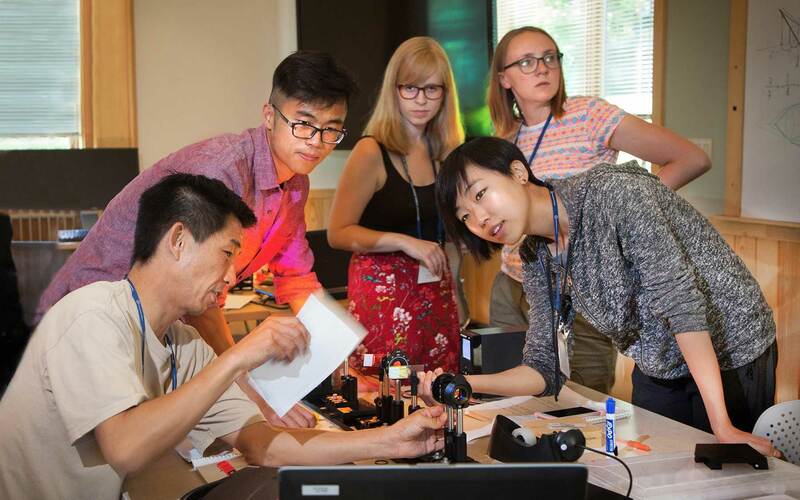 Students working together at a recent CSHL course. That’s how the latest “X-ray Methods in Structural Biology” course from CSHL Meetings & Courses ended up with a pioneer of a key structural biology technique as a participant: he wanted to see it for himself. More often, students in CSHL Courses end up with the reverse of Haas’s story. Rather than learning about the impact they have already had in a field, they use the courses to prepare themselves to make significant discoveries. At least 10 course alumni have gone on to win a Nobel Prize, while others have become leaders of major scientific institutions. The CSHL Courses program itself began with future Nobel laureate, Max Delbrück, who in 1945 started a course on the biology of tiny viruses called bacteriophages, or phages, that infect bacteria. This was not just any course; it was one of the incubators for the field that in the following decade would become known as molecular biology. A young man named James Watson took the course in the summer of 1948 and it had a major impact on his career plans. “The idea of getting a small group of people who are focused on learning the latest techniques and concepts together in a very intimate setting at Cold Spring Harbor—to be doing, discussing, eating, breathing, and dreaming science with people who are like-minded—that started out with the phage course and it’s still the kind of ethos of the courses today,” says David Stewart, executive director of Meetings & Courses at CSHL, who runs this CSHL division with academic advice from Dean of Academic Affairs Terri Grodzicker. Over the years, the program has expanded along with the field of biology to include more than 30 advanced postgraduate courses, providing training in areas diverse as molecular biology, neuroscience, and computer programming. Even within a single course, “the curriculum evolves with the science,” Stewart says. CSHL’s commitment to teaching scientists the latest approaches throughout their careers is possible with the continued support of the Howard Hughes Medical Institute and The Helmsley Charitable Trust. Constant growth has allowed the courses to be a part of the transition of so many students into science stardom throughout the program’s nearly 75-year history. 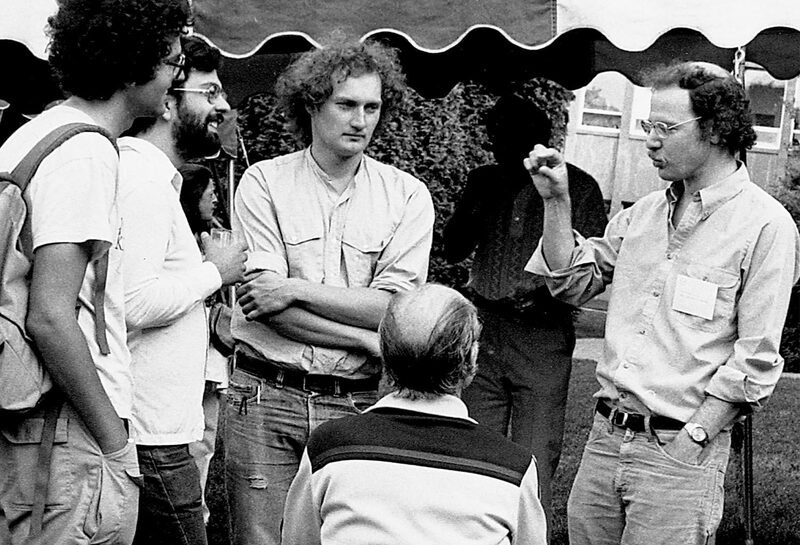 Horvitz (far right) at the 1983 Symposia on Quantitative Biology at CSHL. H. Robert Horvitz shared the 2002 Nobel Prize in Physiology or Medicine after successfully taking one of the biggest leaps possible within biology at the time—with the help of several CSHL courses. He did his Ph.D. work at Harvard with phages, which is among the simplest creatures on Earth. Yet Horvitz had his eye on the extraordinarily complex cells of the nervous system, and planned to go to Cambridge in the fall of 1974 to study this in a microscopic worm about which nothing had been published. It is rare for a student take more than one of these intense courses in a single season, let alone three. Everyone who participates is housed on campus, because 12-hour workdays are the norm. Horvitz quickly gained a foundation in neurobiology from leaders in the field, who very often come from other institutions to teach at CSHL. The experience was complete “immersion,” Horvitz says, adding “everything I do came from those courses.” For him, “everything” includes Nobel-winning discoveries about the programmed death of cells. 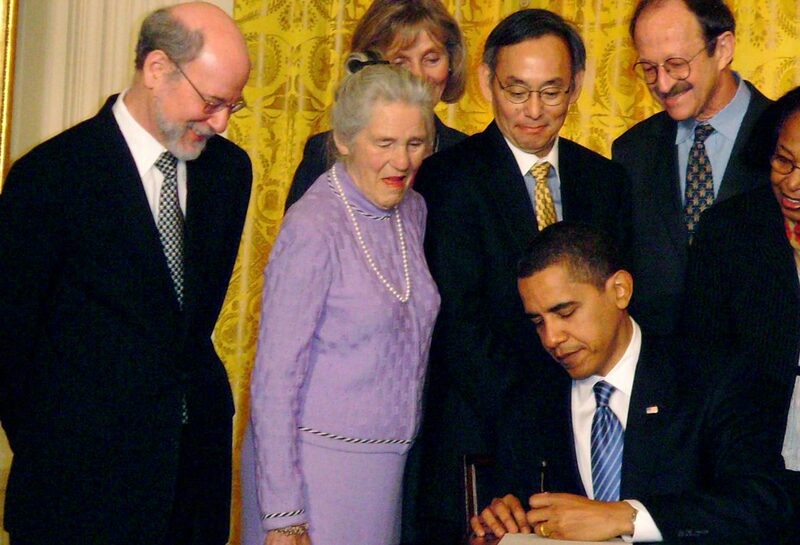 Before Susan Hockfield became the first biologist and the first woman to lead MIT, in 2004, she made a name for herself with her pioneering research on the molecular structure of the brain and discovery of a gene implicated in the spread of brain cancer. She realized early on that applying molecular techniques to brain research would open up huge research opportunities, but neurobiologists had not yet adopted and were not trained in these techniques. So, she took the 1985 “Molecular Cloning of Eukaryotic Genes” course at CSHL to get up to speed. 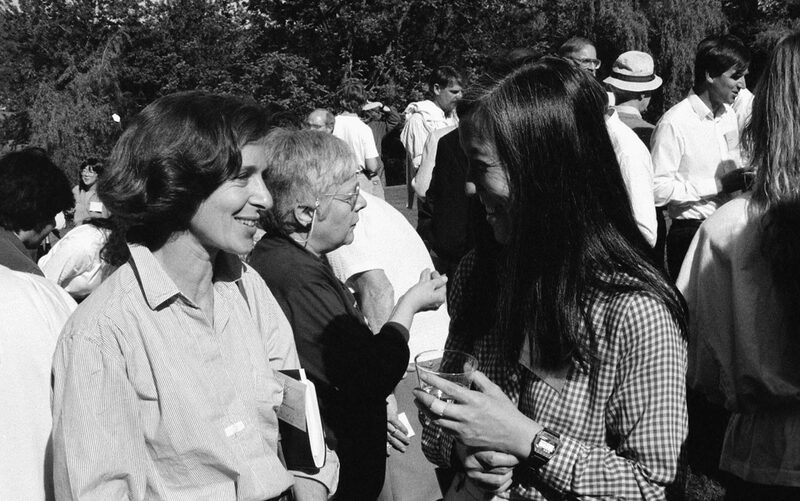 Susan Hockfield (left) at the 1990 Symposia on Quantitative Biology at CSHL. That is exactly what Hockfield did. “I think neurobiology may have been the last of the biological sciences to adopt molecular approaches,” she says, and she was working to build those links. Using modified versions of antibodies, the components of the immune system that learn to recognize foreign invaders, Hockfield was beginning to learn about the molecules found in the brain.